C.S.CARGO Group began in 1995, when the local transport company C.S.CARGO, a.s. was founded in Jičín. TEST 3 . In the beginning, the company focused on offering transport and logistics services for the automotive industry. C.S. 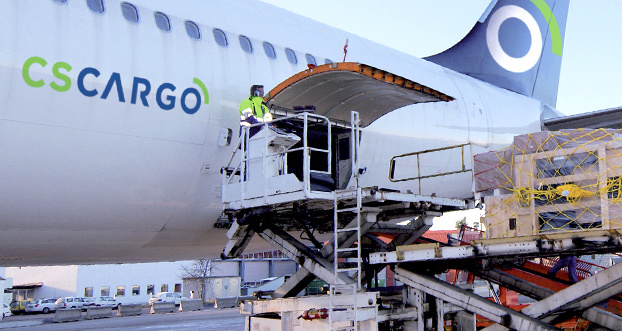 CARGO has consistently increased its turnover, headcount, and fleet capacity every year since its founding. Organic growth and acquisitions allowed C.S.CARGO to expand to other European countries, including re-organization into an international holding that gradually acquired other significant companies from Central and Eastern Europe (i.e. Šmidberský Transport, TSL Unitrans, Air-Sea, or JTC Transcentrum). Currently, C.S.CARGO Group operates in three European countries (Czech Republic, Slovakia and Poland ). The C.S.CARGO group achieved revenues in the amount of CZK 4.7 billion in 2017. EBITDA amounted to CZK 271 million. These indicators rank the group among the leading Central European entities providing transport and logistics services. The group currently employs more than 1,900 workers and daily operates 2,400 freight vehicles that crisscross Europe. The sole shareholder of the group is the company Tuffieh Funds SICAV plc. C.S.CARGO offers complex logistics solutions supported by proprietary IT systems. The company's long-term strategy is to focus on areas where the customers sees us as a strategic partner. Besides a complete transport portfolio, we also offer complex logistics services – warehousing, cross-dock services, milk-run solutions, and other optimization processes. C.S.CARGO is not simply a hauler that takes goods from point A to point B, but a company that offers its clients full services and brings optimal custom solutions. Our clients are leading companies in the (automotive industry, the food and beverage industry, the construction industry, and electronics and consumer goods). C.S.CARGO a.s. (a provider of complex transport and logistic services) operates in the Czech Republic, as does C.S.CARGO Services a.s (a provider of service and maintenance for trucks and a fuel station operator), C.S.CARGO Air-Sea (provides air, sea, and combined transport to destinations around the world), and C.S.CARGO Russia, s.r.o. (a transport company that focuses on goods coming to/from the Russian Federation). In Slovakia, C.S.CARGO Slovakia a.s. rank among the largest transport logistics companies in the country. C.S.CARGO Poland is especially active in the south of the country, where it services a number of industrial companies.